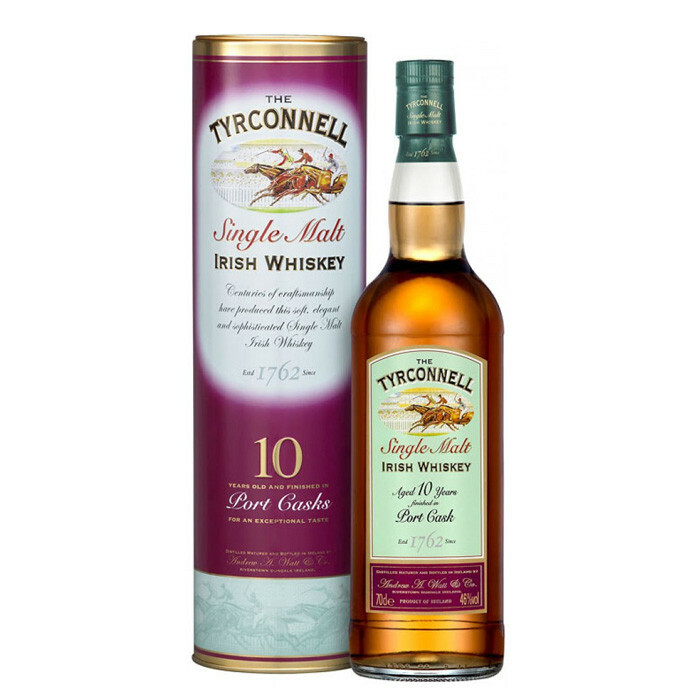 A special version of Cooley's Tyrconnell Irish single malt whiskey, this has been finished in port casks for an extra burst of red fruits and sweetness. Nose: Fruity and thick with notes of roots, tropical fruits, mixed conserves and a green character. Palate: Jammy and thick. There is a marked sweetness with notes of barley sugar and malt.